Living up to the expectations doesn’t always went well for NBA players. Most of them failed in playing at a level people expect them to be. But some players thrive even when they are not expected to play at a high level. Every season we look forward to some players and how they can perform but it’s sad to see them failed or even not getting a chance to prove themselves. Some players are great but the NBA is so tough that their playing time could be lost at any moment if things does not go well. And that would cause them to lost their confidence. Consistency is an important thing for a player but it’s also one of the hardest to maintain. Now, I have my list of some players with high expectations but disappointed as so far this season. 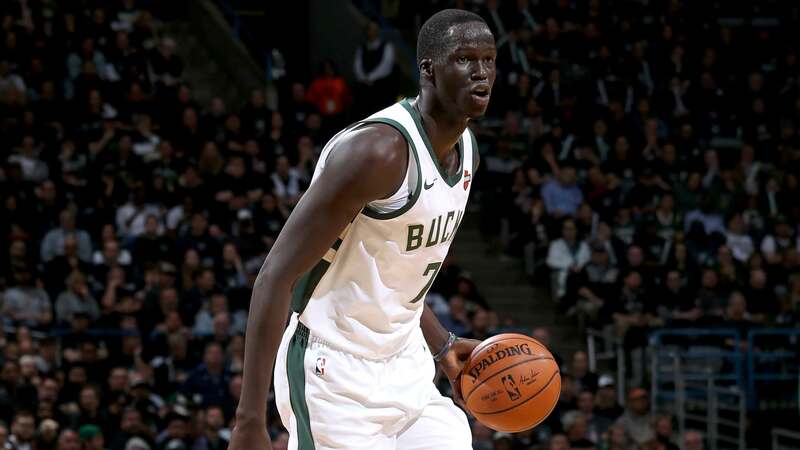 The Milwaukee Bucks has high hopes for Thon Maker as they drafted him 10th in the 2016 NBA Draft. The Bucks expected him to be their starting center after scouts graded him as one of the best big men in that draft class. With his height and length, he was expected to be a great rim protector and defensive anchor but he didn’t live up to the expectations. He also has a great outside shooting before entering the NBA but when he stepped in the big stage, he couldn’t pick up where he left off. He couldn’t bring that level of play in the NBA and so far, Maker is just averaging 4.6 points, 2.9 rebounds and 0.7 blocks playing just less than 12 minutes a game. Jahlil Okafor was the 3rd overall pick in the 2015 NBA draft selected by the Philadelphia 76ers. He was looked back then as a future superstar big man in the NBA but injuries held him back and his defensive abilities is a liability. He’s good offensively, a lot of moves in the paint and a great footstep but he couldn’t protect the rim. In his rookie year, he’s doing well being Sixers leading scorer for some time but injuries kept him from becoming better. Philly traded him then to the Brooklyn Nets and after a short stint with the Nets, he signed with the New Orleans Pelicans to have a fresh start. With the Pelicans, he still disappoints averaging just 3 points and 1.9 rebounds a game in just 6 minutes per contest. Disappointment after disappointment for Markelle Fultz. I think its hard for the number 1 overall pick in the 2017 NBA draft to deal with this emotionally and it affects his game. After a disappointing rookie season for Markelle Fultz, we all expected him to bounce back and have a breakout year this season but again he failed and now wants a fresh start in a new team. Really, he shown some glimpse of improvement but it’s not enough to pleased the fans because he is first overall pick. Fultz still couldn’t fix his shot and his confidence seemed still lost right now. This season, Fultz is just averaging 8.2 points, 3.1 assists and 3.7 rebounds.